Incorporated in 1873 shortly after the end of the Civil War as the "Russian Congregation B'nai Israel of Baltimore City," B'Nai Israel was formed by Eastern European Jews living at a hub of Jewish Baltimore along the Jones Falls River. The founding members were working class Baltimoreans: shoemakers, clothiers, and the like. Despite the nod to Russia in the synagogue's name, many actually hailed from Poland. Between 1880 and 1905, Baltimore's Jewish population swelled from 10,000 to 25,000, and many German congregations moved out of east Baltimore and downtown. Examples of congregations moving west included Baltimore Hebrew (1891), Oheb Shalom (1893), Har Sinai (1894), and Chizuk Amuno (1895). B'Nai Israel took advantage of the exodus, and laid down $12,000 in 1895 to buy the synagogue it now occupies from the Chizuk Amuno congregation. 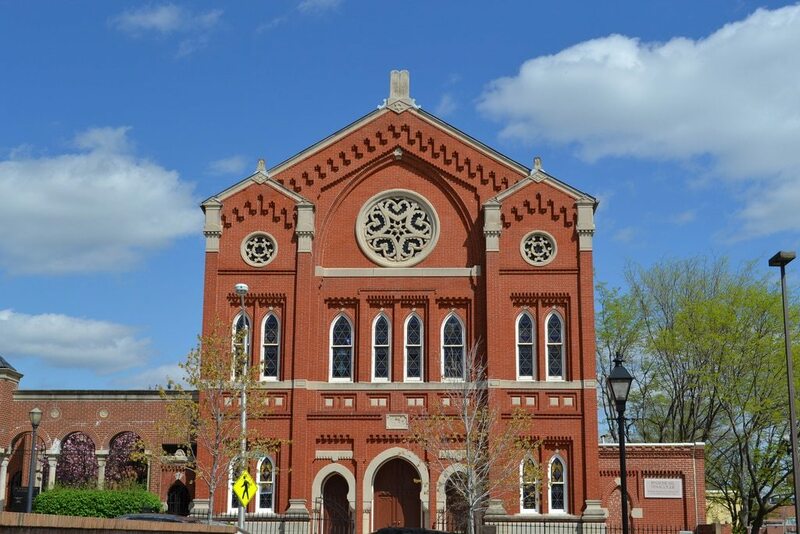 While many East Baltimore congregations closed or left the city following World War II, B'Nai Israel remained, perhaps part of a Talmudic obligation to protect at least one shul in every city. After years of decline, fortunes turned in the late 1970s when the congregation began to grow and restoration work on the synagogue began. The building dates to the late nineteenth century, before the advent of modern architecture trends in American synagogues. Its large central window, stained glass, and interior sanctuary are heavily influenced by Eastern Mediterranean and Byzantine architecture. The sanctuary's original ceiling, with frescoes akin to those in European churches, remains intact, as does a tremendous hand-carved ark in the central sanctuary. Johns Hopkins, “B'Nai Israel Synagogue,” Explore Baltimore Heritage, accessed April 23, 2019, https://explore.baltimoreheritage.org/items/show/26.